Click on image for full size and print it out! I came across this on Facebook and thought you might be interested. 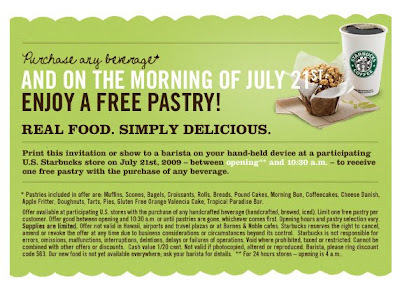 Who wouldn't want a free pastry? Mmmm... I'll be setting my alarm clock to make sure I get one of their buttery croissants!